National Science and Engineering Week falls on 13th March to 22nd March this year to celebrate everything related to science, technology, engineering and mathematics (STEM). Hosted by British Science Association there are many events that range from small-scale science demonstrations in a classroom up to helping large-scale festivals, which include ‘The Big Bang Fair’ and ‘Reading Science Festival’. Since it started back in 1994, it had mainly just focused on science, up until around 5 years ago where engineering was added to the event. However, it has started to also include mathematics and technology. A variety of different events are set up, from small schools and teachers in classrooms to big national corporations, for example Network Rail and EDF Energy where the public may enter their centres to look behind the scenes of these corporations. Even if you are not science savvy or an engineering genius, this does not mean you cannot join in. If anything it's a chance to persuade yourself or friends by attending some wacky and creative events, which include the Mini Rocket Challenge, Muddy Maths, Nutty Professors at Gallows Close Centre, Spaghetti Tower Challenge and more. These events are to help pique the interests of children of a younger generation to enthuse them from an early age in what are typically viewed as unpopular subjects, the government providing funding of £200m matched by universities to help support those looking to studying science and engineering degrees. 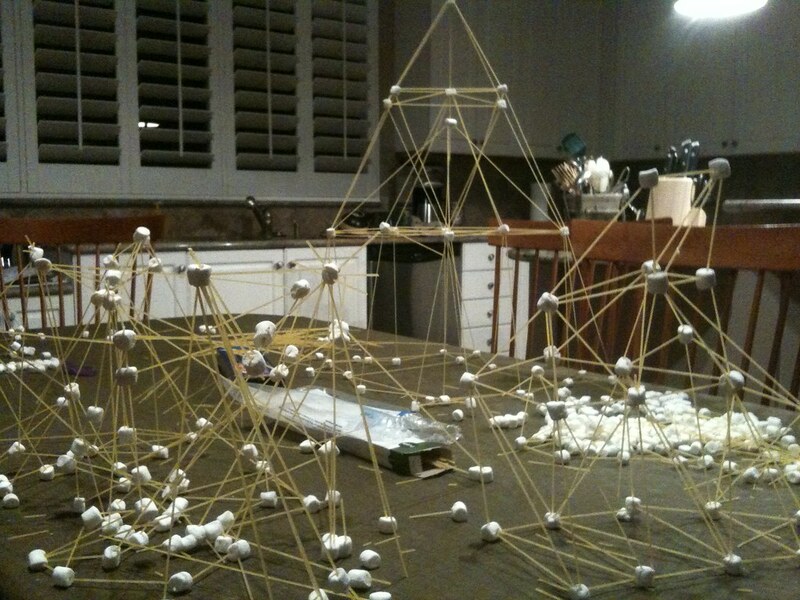 The objective stated by the Science Museum is to construct the highest tower possible by using spaghetti and marshmallows. You can only use 50g of spaghetti sticks (uncooked) and 25g of marshmallows and eat the remainder. The tower can be created into any shape or form and the spaghetti can be cut into shorter lengths. Helpful tips include that when cutting the spaghetti, make sure it is cut accurately or it may become the leaning tower of spaghetti and when using the marshmallows, the length of spaghetti inserted into the marshmallow can determine the strength of the joints. 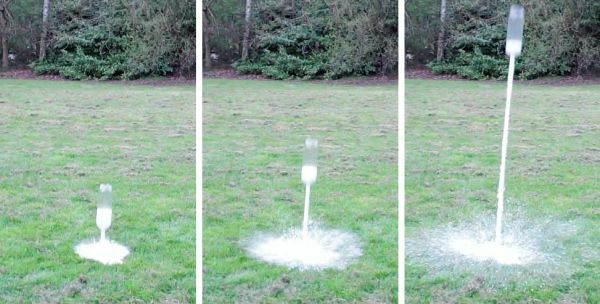 The objective stated by the BBC is to build a rocket with vinegar and baking soda and see who can fly the rocket the highest. First, take a bottle and fill up ¾ of the bottle with vinegar. Next, add baking soda to cling film. Then prepare a balloon by poking a hole in the side. Carefully place the baking soda inside the container and seal the mouth of the bottle with the balloon and tighten with a rubber band. Then prepare for take off! Please stand clear after the release of the band. Projectile angles can be taken into consideration when trying to increase height. With the sun finally starting to shine, there are many activities that can be done outdoors. Activities can include finding a range of angles in nature and sorting them into acute, obtuse and right angles, measuring the age of trees, counting and sorting objects in sizes and weights. The options are limitless. How will you be spending such a fascinating week?